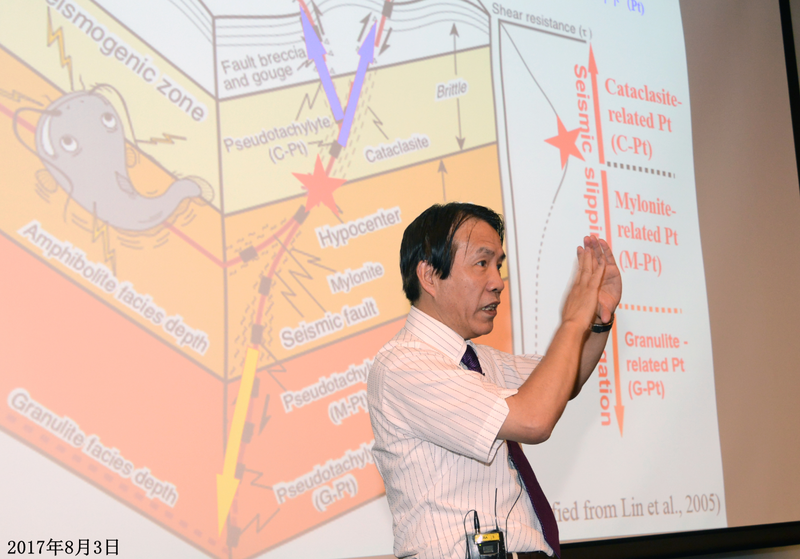 Professor AimingLIN is a current Professor and Chairman in the Department of Geophysics, Kyoto University, Japan. He received Ph.D. and M.S. degrees from the Graduate Schoolof Science, the University of Tokyo in 1992 and 1989, respectively, and B.S.degree from Nanjing University in 1982. He is experienced in seismotectonics, rupture dynamics and mechanics of large earthquakes, paleoseismology, activefaults and formation mechanisms of fault rocks generated within seismogenic fault zones from brittle to ductile regimes. He has published 18 books and morethan 200 journal papers. He received the 1999 Excellent Researcher Award from the Murao International Foundation. Abstract: The strength of seismogenic fault is an important factor in understanding the rupture mechanisms of large earthquakes and the rheological properties ofseismogenic fault. During the past decades, geological and geophysical evidence suggests that some active faults are weak compared with the experimental measurements of frictional strength, but the fault strength is still a subject matter in dispute. In this presentation, I will focus on three related issues:i) the rupture mechanisms of seismogenic fault related with the fault strength,ii) formation processes of seismic fault rocks including Earthquake Fossil (pseudotachylyte)and related earthquake materials that form within natural seismogenic fault zones and in high-speed frictional experiments, and iii) the fault zone model showing the seismic slip resulting from large earthquakes that nucleate in thelower portion of the brittle regime in the upper crust is able to propagate downward through the brittle-ductile transition zone to the plastic flow regime in the lower crust.